This project was implemented as a joint project with the City of Yokohama, funded by the Council of Local authorities for International Relations grant. 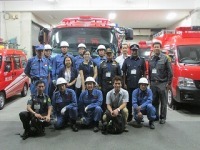 Asian cities have various needs in capacity building in the fields of disaster recovery and disaster preparedness, however trainings and expert distiches tend to be short-term. 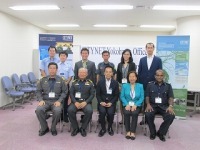 To compensate for this, the course platform provides a place where members can engage in discussion forums and share material among professionals from other member cities in addition to being able to take the necessary courses to further develop the capacity of Disaster Risk Reduction (DRR) personnel. 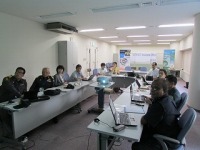 In the long run, the platform is expected to act as a database of various practices and initiatives related to DRR.